Like anything else we have seen from Kreg (makers of the very successful Kreg Jigs), the Kreg fence for the Shopsmith bandsaw is well made, good looking, and works well. 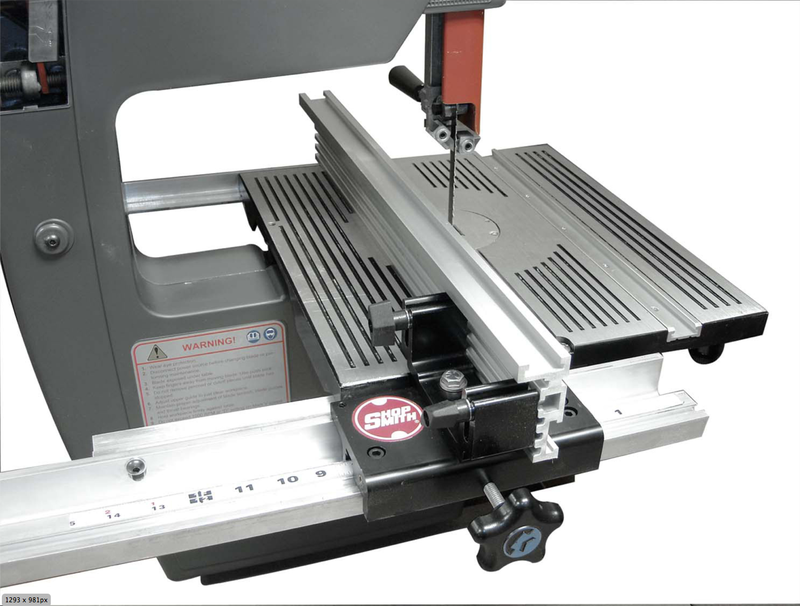 The fence and accessories increase the capacity of the Shopsmith table; I can now rip 9 inches wide, and with the micro adjustor I can get great accuracy and repeatability on rip and resaw cuts. Resawing on the Kreg relies on a curved plate that attaches to the fence that makes following your line easier. If like me you use your Shopsmith bandsaw for a lot of rip cuts, this fence is a good addition to an already great bandsaw. 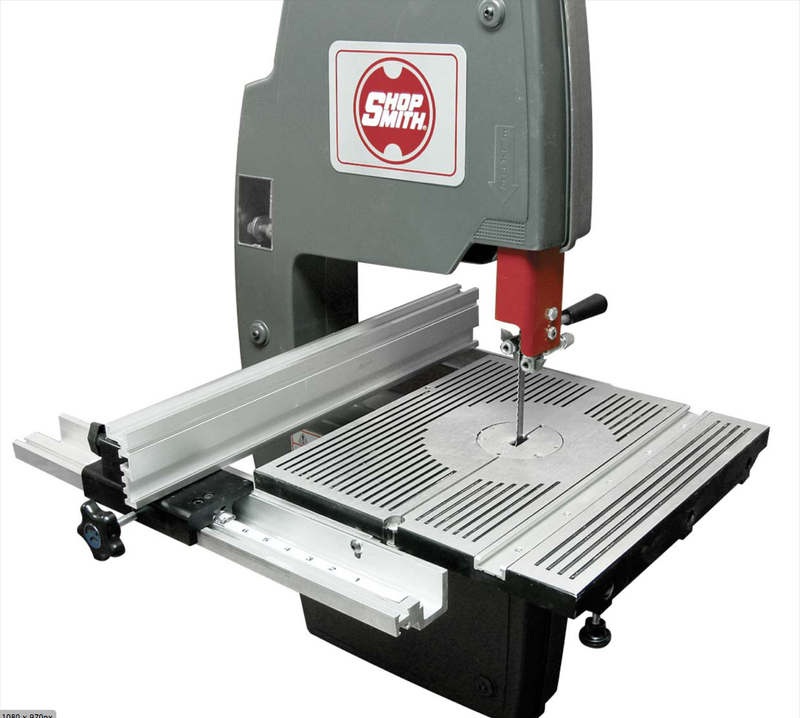 However, if you are only looking for a way to get accurate resawing, I suggest you check out my video on setting up the standard Shopsmith bandsaw fence before spending the $200. on the Kreg set up. 9/21/16 I had an email recently asking my opinion on the Kreg fence. Since first writing this, I have reverted to my Shopsmith band saw fence. Why? As I said above, the Kreg fence is well made, and good looking. It did increase my rip capacity. But I found setting it up was a chore compared to the Shopsmith unit; I had to remove the Kreg anytime I wanted to change blades, which I do often. And resewing using the pivot point system seemed like a step backwards. Maybe it is just a matter of what I am used to. So, I suggested to the owner that he would spend less and be happier by getting the Shopsmith fence. Any opinions on this?